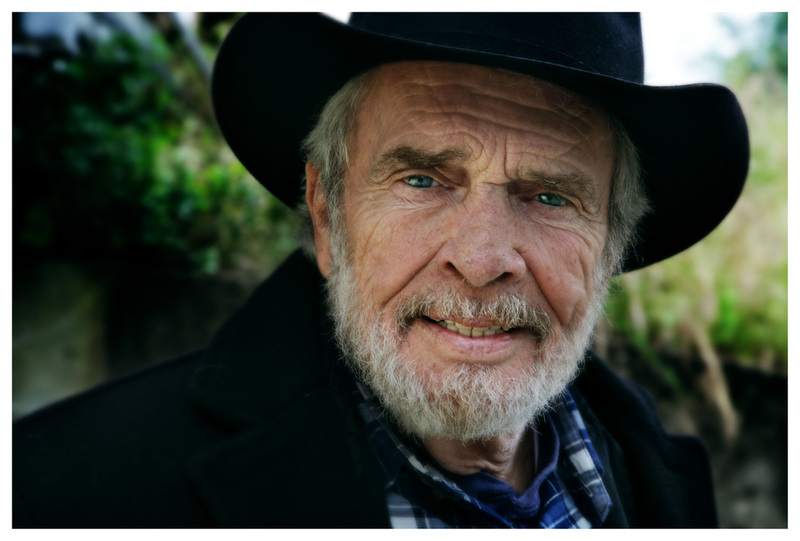 Cracker Barrel Old Country Store presents Merle Haggard's new CD titled Working Man's Journey. It contains six new songs and six classic Hag songs all recorded fresh. I was not asked to do this, but recently stopped in a Cracker Barrel for some good southern food, personally love those chicken and dumpling's. Hag sounds as good as ever, fresh. A lot of familiar players with him. The sound of "Bakersfield country" as only the Hag can do. A real warm recording. Love this disc. This guy has the magic that's missing in a lot of modern music today. Just the intangibles, ya know, warmness, sincerity, songs that you can relate to. A simple recording with a little clipping, but it's forgiven, because the instruments all sound so good. "Like A Train Left The Tramp" This is a great performance of a mid-tempo country song, Rob Ickes is awesome on Dobro. Also, a great electric guitar break. "Shade Tree Fix-it Man" - The album opens up with this kicker, great upbeat tune. Hag plays electric guitar on most songs. Love his warm vocals and talking during the song. Man, there are some classic instrumental solos on this disc. "In The Mountains To Forget" Love this very strong lyrical masterpiece, "Somehow I missed The call from Larry King". "If We Make it Through December" - Some beautiful acoustic pickin', real nice song, the Hag really has a way with words. "Stormy New Orleans" - A delightful jazzy sounding tune with a great melody. Some real nice horns and blues harp. "Songman" - I just love this song, what a great voice and some more great lyrics, incredible pickin, "I got a song about wrong and one about right"
Haggard has been around about forty years and to be able to record an album with twelve great songs and some plain inspired musicians, it is what country music needs. I love the liner notes description of Hag "Poet of the common man". A man with forty number one hits, now that is top forty for you. I review mostly bluegrass and alt/country. Country music needs to hear this, why? Because this is music of the soul, not the wallet. A true musician does not care about how much money they make, they want a gig and a guitar. This guy has never sounded better. Go Ahead and try to prove me wrong.